Outlier | On Its Own Terms | A Continuous Lean. The clothing industry is founded upon rules. Release this collection when everyone else does. Use these fabrics, not those. Design garments for this season, not that season. Sell it this way, not your way. The most important thing to know about Outlier is that it took these constraints, and instantly threw them right out the window. Then again, I’m not so sure if partners Abe Burmeister and Tyler Clemens even knew what these unspoken standards were when they founded Outlier in 2008. After all, they never set out to be designers, they merely set out to fill a void in their wardrobes. When you get swept up in the steady flowing current of fashion, it’s easy to forget that at its core design is about problem solving. Outlier came together when these two men discovered that they shared a common problem. After being introduced by their barista of all people, Burmeister and Clemens realized that they were both attempting to create a garment that they could actually wear on their morning bike commutes without arriving to work looking like they be run over by a truck. 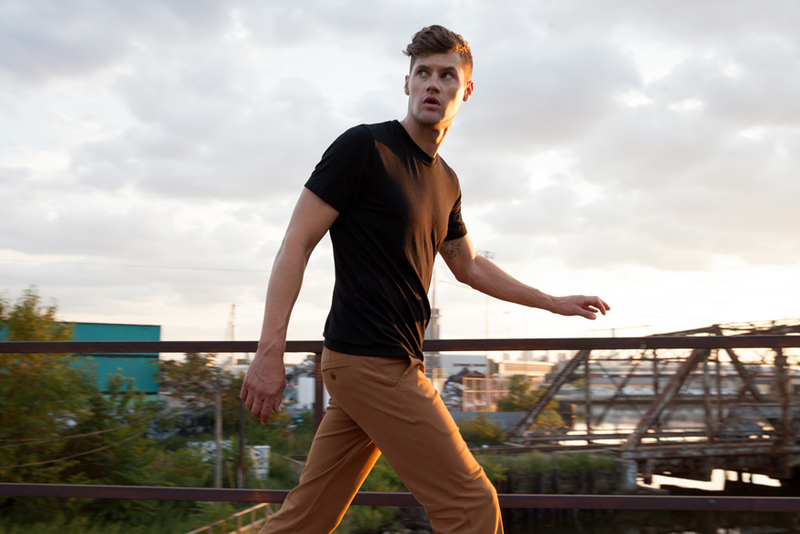 Tyler had been working on a shirt, but Abe’s pant project was further along, so the two joined forces and put all their efforts into crafting Outlier’s signature OG Pants. They completed their design in late 2008, launched their site, and have been independently shipping their products worldwide ever since. To understand what makes Outlier special you have to look not at the look of its products, but at their make-up. The shapes are standard, their colors are solid, and their collections don’t skew too far from your typical garments. A blazer, chinos, a cardigan. You’ve seen all these before. But never like this. That blazer is flexible, water-resistant, and â€œself-cleaning.â€ Those chinos are made from a cotton/nylon blend that was developed by the military. Their cardigan is sewn from double-faced Superfine 18.8 micron merino wool, which is a natural textile that meets tech-specs. Outlier’s product descriptions are rife with terms like NanoSphere, Quarpel, three-piece hood, and air forged. These are not the sort of words that you would expect when reading about garments fit for everyday wear, but Outlier clearly isn’t playing to the common denominator. The brand doesn’t wholesale, launches new products on their own schedule, and understands that their customers value style and substance in equal measure. Burmeister and Clemens rethought the clothing industry for themselves, and through their brand they instill this unique approach onto its fans (and yes, you can truly call them fans.) 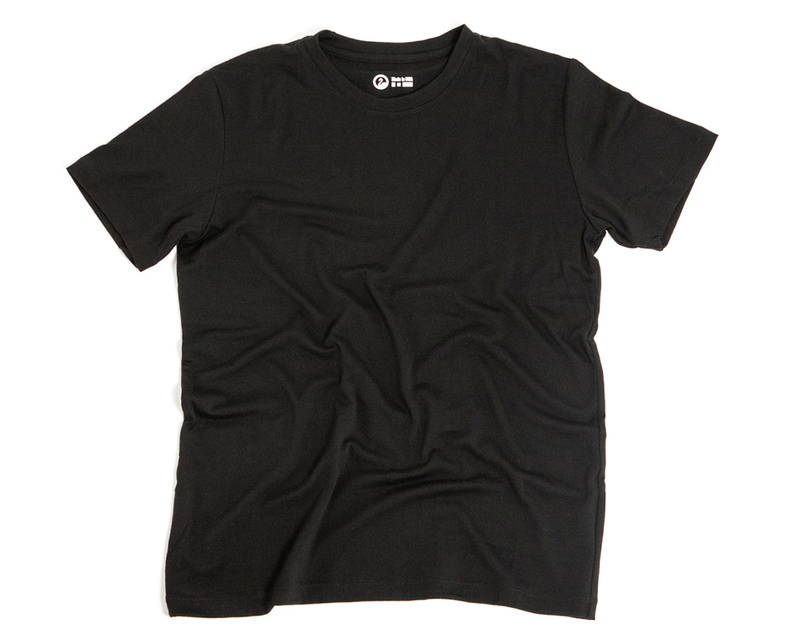 Take its latest launch for example, how many of their customers have ever considered wearing a merino tee shirt before and more importantly, how many of them will never go back to a cotton tee ever again? Outlier products are THE REAL DEAL!!! No hype or pretense, these clothes are double duty, Work & Play!!! I’ve heard good things, people who are pro Outlier and all out Outlier. 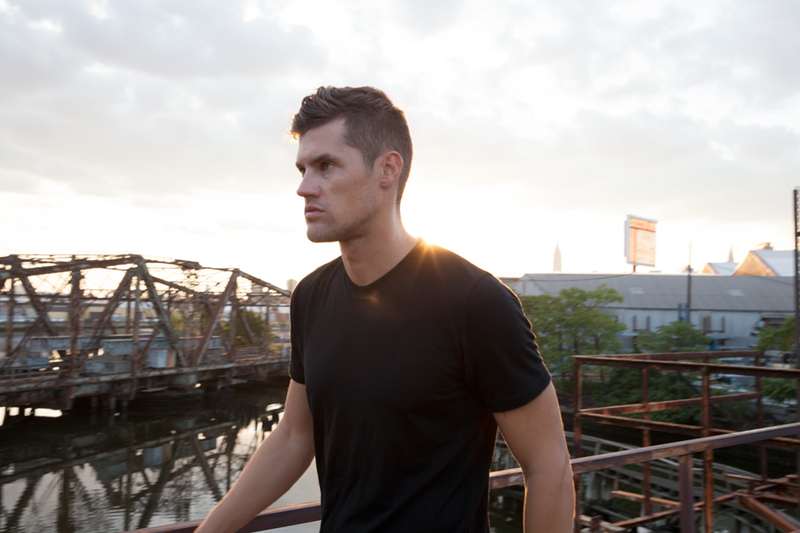 The merino tee shirt is interesting. Are guys wearing them in the summer? Wouldn’t that be too hot? Is the tee more fitted or boxy? I love Outlier’s stuff. Pricey, but well worth it. 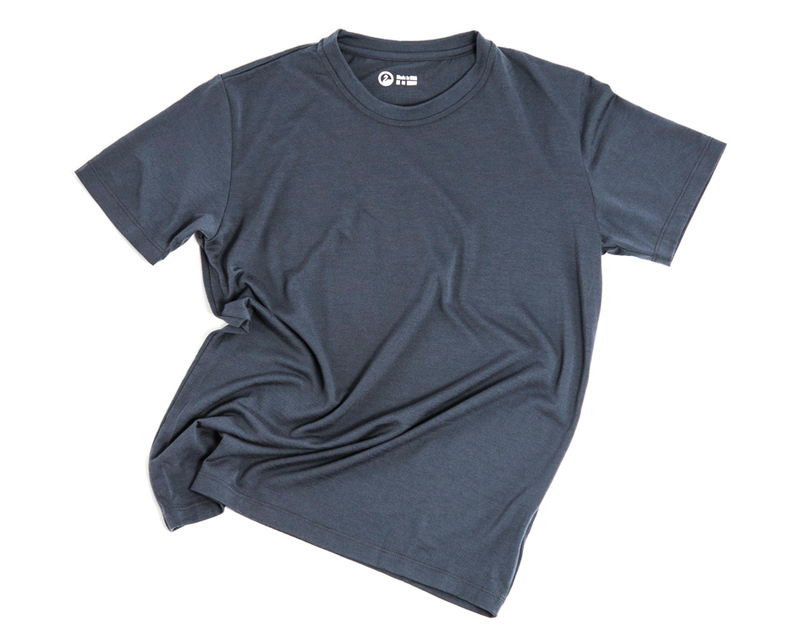 @Scott Fisher: The merino tees are not skin tight, but they are not terribly loose, either. I am 6′ 0″, 185 lbs, and the medium size fits me well. Snug in the chest, looser in the mid-section. They fit so well, I bought four! Adam, in the summer I’ve been wearing Sunspel cotton tees size large which fit perfectly along the lines that you describe. I’m almost exactly your height and weight so,sounds like that the Outlier’s are cut a bit more generously which makes sense from your description. My chest is 42 inches and waist 33-34. If your measurments are similar then, size medium would be the size for me as well. Do you wear them in the summer? I live in the southern U.S. andI’m concerned that the Outlier tee might be too hot in July and August. I’ve been wearing Merino t-shirts from some other brand for years. For activities like hiking, cycling etc., they are better than cotton at wicking moisture and don’t start to stink like most synthetics. I find a micro-weight merino T marginally warmer than cotton, but still tolerable year-round in the western US (low humidity). If I am just sitting around, I prefer a nice cotton shirt. I find that Merino garments last many years and don’t *need* as much washing as cotton or synthetics, though most that I have owned hold up to machine laundering as well as anything. Thanks again. 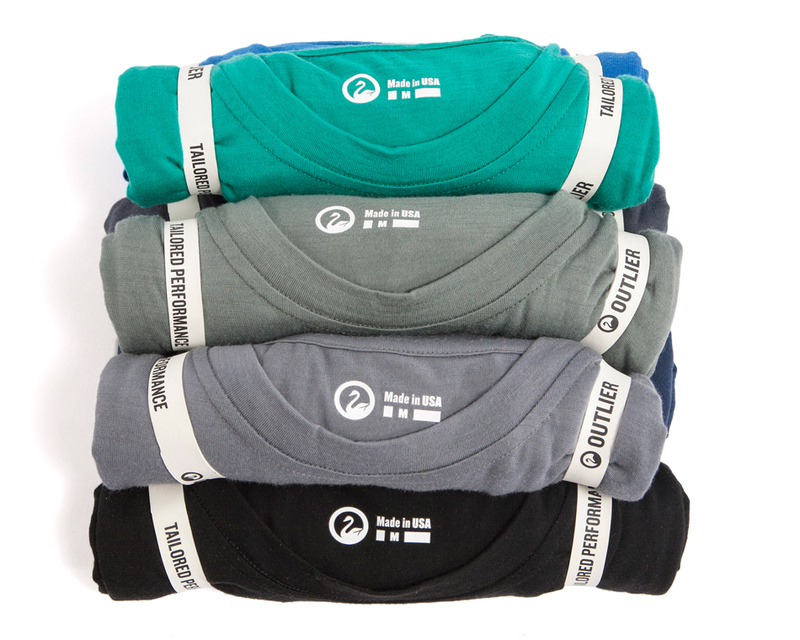 The Merino tee idea will work well in warmer climates in the southeastern U.S. for at least 8 months out of the year.